Cabin Service employees perform interior cabin cleaning, cabin supply set-up and lavatory tank servicing on all types of aircraft. They also collect and remove trash from passenger, cockpit and galley areas, empty trash containers and ashtrays, and sweep and vacuum floors. They also perform janitorial work in American facilities and offices. These employees deal directly with the customers at airport locations. Duties involve answering questions on schedules and fares, on aircraft, handling service irregularities, and process minor claim settlements. Representatives at the smaller stations perform all American functions at the airport. Additional duties include baggage and cargo handling, dispatching of aircraft, air freight sales and service, and other miscellaneous assignments. Fleet Service Clerks perform important operational activities in any of the following areas: cabin service, line cargo and air freight. Must possess a high school diploma or equivalent, be able to operate standard transmission vehicles, and lift 70 pounds. Although your primary responsibility is passenger safety, you will also assist with the boarding of the aircraft, provide beverage and/or food service during flight and maintain a friendly, courteous, caring atmosphere, establishing a positive image in the eye of the passenger. You must possess a high school diploma or equivalent, two years college and/or two years public contact experience. Friendly outgoing personality with neat, well-groomed appearance. Your weight must be in proportion to your height. Your height must be between 5’2&quot; to 6’0&quot;. Your vision must be at least 20/50 in each eye and you must be willing to relocate. We are currently seeking friendly, service-oriented people who take pride in their performance and appearance. The following information will acquaint you with our qualifications, recruitment process, and training. High school diploma or GED, plus at least two years post-high school education or public contact work experience. Customer service work experience is preferred. United States citizen or already possess the legal right to work in the U.S. including the right to travel to/from the countries American Airlines serves. Able to lift, push and pull heavy articles as required. Able to reach all emergency equipment on all aircraft types. Not to exceed a height maximum of 6&#39;2&quot;. Able to read, write, speak and understand the English language. Fluent conversational ability in languages spoken in our destination countries is preferred. Qualified language speakers earn additional money for assigned Domestic and International routes and are required to serve a commitment of up to one year once assigned to a base. We are actively seeking individuals who have fluent conversational ability in Japanese and/or Portuguese as well as other languages. Those selected for training must attend an unpaid 6 1/2-week training program conducted at American Airlines Training and Conference Center in Dallas/Fort Worth. While in training, candidates will participate in open discussions on American Airlines Customer Service philosophy and attend classes on in-flight service, aircraft familiarization and emergency procedures. Accommodations and meals are provided by American Airlines. Trainees should have $1,500-$2,000 available for incidental expenses incurred during training and for relocation to the assigned base. Travelers Checks may be cashed at the American Airlines Training and Conference Center in small denominations. Base assignments are awarded in order of seniority just prior to graduation based on operational needs. Seniority within each class is determined by birth date. Initial uniforms are issued during training and purchased by new hire flight attendants via payroll deduction at $20.00 per paycheck. Once training is successfully completed, new flight attendants are eligible for the full benefits package. This includes: comprehensive health insurance, profit sharing, unlimited (space available) travel privileges for employee, spouse and children after 6 months of service, and 16 one-way travel passes each year for family and friends. A 401K plan and credit union membership are available for those who wish to join. A Career Development Program is available for employees seeking advancement opportunities within the Company. Flight attendants must complete a 6-month probationary period at their assigned base. Requests to transfer to another base are considered after completion of the 6-month probationary period and are awarded in system seniority order, depending on operational needs. All flight attendant wages, both Domestic and International, are governed by the contract agreed upon between American Airlines and the Association of Professional Flight Attendants (APFA) and are competitive with other major airlines. Annual increases are based on Company anniversary dates as specified in the contract. Expense money is paid for each hour a flight attendant is away from home base. Hotels on layovers are provided by American Airlines. The pay rate for an International flight assignment is slightly higher than Domestic and, if vacancies exist, is awarded by seniority bid. Mechanics perform their duties according to FAA, aircraft manufacturers and company regulations, specifications, procedures and instructions. They are required to maintain the airworthiness of aircraft and their components while in service or undergoing overhaul and/or modification. Two specific types of mechanics include Line Maintenance Mechanics and Maintenance Base Overhaul Mechanics. You must possess a high school diploma or equivalent, FAA Airframe and Powerplant license. FCC Second Class Radiotelephone license, or higher, for bench mechanic duties in Avionics Maintenance at their Maintenance and Engineering Center. Valid state motor vehicle drivers license, 24-36 months accreditable work experience and/or education. Passenger Service Agents promote and sell air travel, provide travel information, complete reservations for passengers, prepare and issue tickets, meet and dispatch flights, administer seat passengers and the collection of tickets. Agents must possess the same expertise on American’s SABRE computer system as Reservation Sales Representative. The position requires extensive public contact. Must possess a high school diploma or equivalent, two years of college and/or two years of public contact experience and obtain a well-groomed appearance. Have above average oral communication skills, type 35 words per minute and be able to lift 50 pounds. Pilots have the opportunity to fly the most technologically modern fleet of aircraft in the industry. Minimum qualifications include a college degree or its equivalent, being able to read, write, fluently speak and understand the English language. Weight must be in proportion to height, height being between 5’4&quot;-6’5&quot;, and vision corrected to 20/20. Flying time commensurate with other qualifications. Certificates, ratings, permits: FAA Commercial License (multi-engine) with an instrument rating, no limitations -OR- Current Air Transport Pilot Rating (multi-engine). Flight Engineer Basic and Turbojet or FEX written examinations passed within the past 24 months -OR- Valid Turbojet Flight engineer Certificate. Valid FCC Restricted Radiotelephone Operator Permit. Valid First Class FAA Certificate, and you must be willing to relocate. Programmer Trainees Opportunities in computer programming are extensive and include problem analysis, program specifications and coding and testing of application software supporting their marketing and flight systems. Minimum qualifications are an aptitude for programming, a bachelors degree in Computer Science, Math or Information Systems with a three hour minimum course in IBM 360/370 Assembly language -OR- One to two years IBM 360/370 programming experience in Assembly. These employees must be knowledgeable and skillful in making reservations on American and other carriers as well as hotel accommodations, car rentals, theatre tickets and other travel related services which may be requested through the use of SABRE. Along with assisting passengers with their travel needs, representatives quote fares, provide flight information and frequently resolve difficulties associated with a passenger’s travel. You must possess a high school diploma or equivalent, two years college and/or two years public contact experience, type 35 words per minute and have an excellent telephone manner. These employees are responsible for selling American seats and related services to travel agencies and corporate communities. Emphasis is on increasing American market share in managing a territory of accounts representing millions of dollars in revenues to American. Qualified applicants may obtain positions as Records Clerks, Clerk Typists, Secretaries, Word Processors and many other positions of a clerical nature. You must possess a high school diploma or equivalent, type at least 50 words per minute, have prior business experience and some positions may require shorthand at a minimum of 90 words per minute with word processing capabilities. 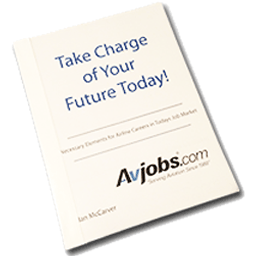 American Airlines Position Descriptions, Duties, Responsibilities and Working Conditions.